Leelanau Peninsula has become well-known for its Riesling and other cool-climate white varietals and blends. What is often overlooked, however, are the high-quality red wines being grown in the region. To help get beneath the surface, the Leelanau Peninsula Wine Trail hosts a monthlong event each October that encourages wine lovers to explore and discover great red wines of Leelanau Peninsula. 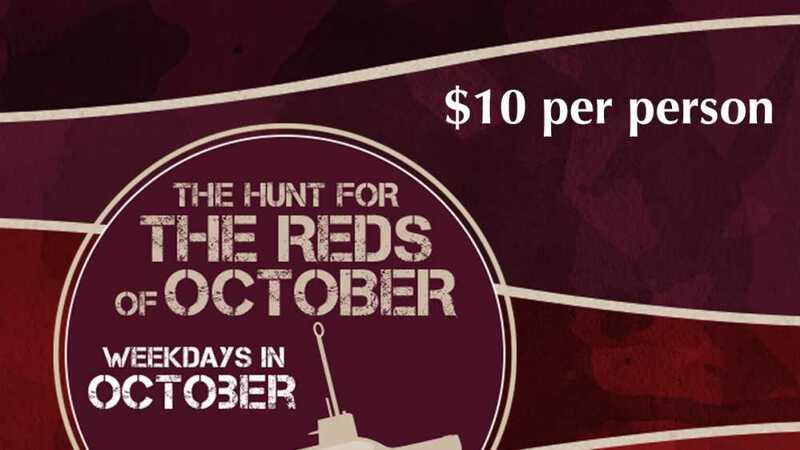 The Hunt for the Reds of October takes place weekdays (Monday through Friday) throughout the entire month. Your $10 ticket gets you a stemmed commemorative glass and a pour at all 23 participating wineries offering diverse red wines: big and bold Cabernet Francs and Merlots, aromatic and spicy Pinot Noirs and much more. Additionally, $5 of every ticket benefits the American Red Cross of Northern Michigan. Great wine for a great cause!